Hi there…I am so glad that the breeze blew you this way. 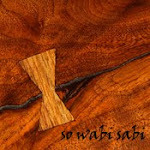 I’m Elizabeth, and here I share the tales of our wabi sabi life. In the spring of 2009, I started this blogging journey as a way to share a little bit of beauty and sacredness from my everyday life. To the casual observer, I lead a fairly ordinary life. I am a stay at home mom to a beautiful boy. I am also an earth mama to another beautiful boy who is an angel. I love to share my moments of inspiration through writing, speaking, and photography. When the wind is right and I've had enough sleep...I become the skyroot woman connected deeply with the earth beneath me while reaching out to the heavens in gratitude for this blessed life of mine. I hope that by sharing the little bits of beauty and sacredness that I’ve found in my ordinary life that you will be inspired to look for it in yours. p.s. so what is wabi sabi....it's not easy to describe in words because it is more of a feeling than a description., but you can experience it yourself when you begin to appreciate the beauty in things as they are. I took a stab at describing it here when this whole thing got started.